Today I worked in the preschool nursery for church. 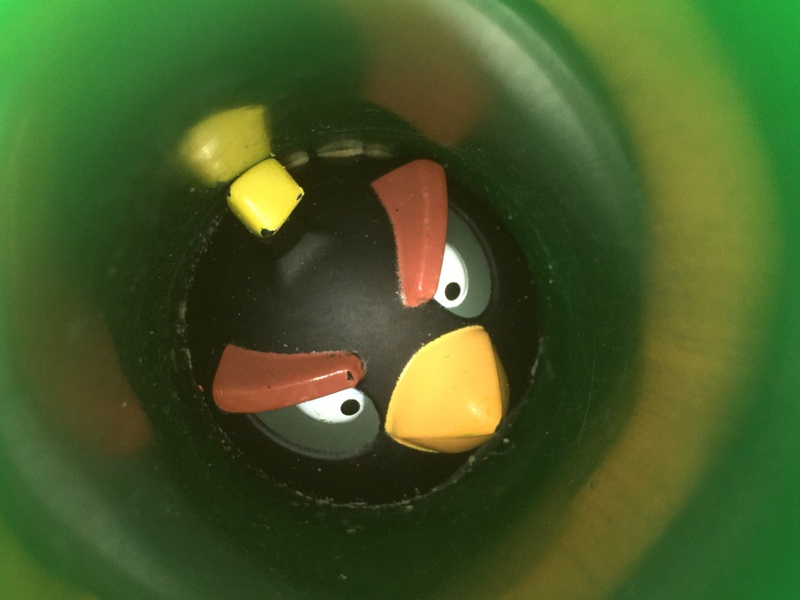 The four year old children were all interested in a toy that was stuck deep in the cylinder of a shelf leg. I started to go into teacher mode– “What have you done to solve the problem? Will that work? Why not?” I was mostly trying to engage their minds, because children who are problem solving aren’t usually getting into trouble. Then I realized that God had provided a problem that would make a good lesson. Instead of teaching the Bible story, I got my Bible and opened to 1 Peter 5:7– Casting all your care on the Lord, because he cares for you. It was a short lesson. I told the kids that we had a problem. We had all used our minds to solve the problem without success, and now we were going to pray about it. Getting a toy unstuck is a pretty small thing, but God tells us to cast our cares on him. Why? The size of the problem is irrelevant. He cares for us. Those four year old mischief makers were engaged long enough to practice saying the verse a few times with me, and to pray for help with the toy. After we prayed, I asked them how they thought God would answer our prayer. We talked about “yes, no, wait.” We talked about whether God could make the toy fly out by itself. (He can do anything, but probably wouldn’t answer that way.) I asked why we prayed about our problem. (Because God cares about us and our problems.) Then I let them go play while my daughter and another helper spent about 15 minutes trying different ways to get the toy out. They got the toy out, we spent a few minutes saying thank you to God, and the class moved on. All afternoon I’ve been thinking about this class, thankful for a God who cares for young children and their problems. We make jokes about “first world problems” or feel guilty because our problem is nothing compared for other problems people have. The size of the problem is actually irrelevant. Our heavenly father tells us to cast our cares on him, not because it’s a worthy problem to bring to him, but because he cares for us. He cares about all our troubles, large or small. I’m thankful for that loving kindness this afternoon. Enjoyed your post! It’s a great reminder that we serve a God who cares!